Ask any travel writer who has been practicing the craft for some time and you will, more often than not, get the same response, “It isn’t really what I thought it would be.” If you believe that by merely proclaiming that you are now a travel writer, you will now be able to go for free, see the sights, write some prose and have a publication pay you handsomely for it, then you are in for a very rude awakening. Contrary to popular belief, travel writing is not easy. Sure travel can be easy, and the same goes for writing. But travel writing is not just centered around the writer. It is not as if the author puts words on paper and money along with accolades will fall from the sky. In an era where anyone who goes on a trip, fingers with which to type with, and some sort of blog-like platform to publish their writing can, in essence, write about their travels. But, there is a stark difference between the person who writes about their travels and a trip writer, and that is that the latter is mainly doing it for payment. There are many ways to be compensated as a travel writer, with commissioned and assigned job being two of them. Likewise, there are many flavors of travel writers, some focus solely on hotels, while others can write about an immersive 20-day trek through the Okavango Delta on safari. But first things first, how does one get their foot in the travel writing door? Budding travel writers believe that the main ingredient in this line of work is passion. They are of course incorrect. At best passion is a nebulous term and defining it is like pinning a tail on a donkey, blindfolded. 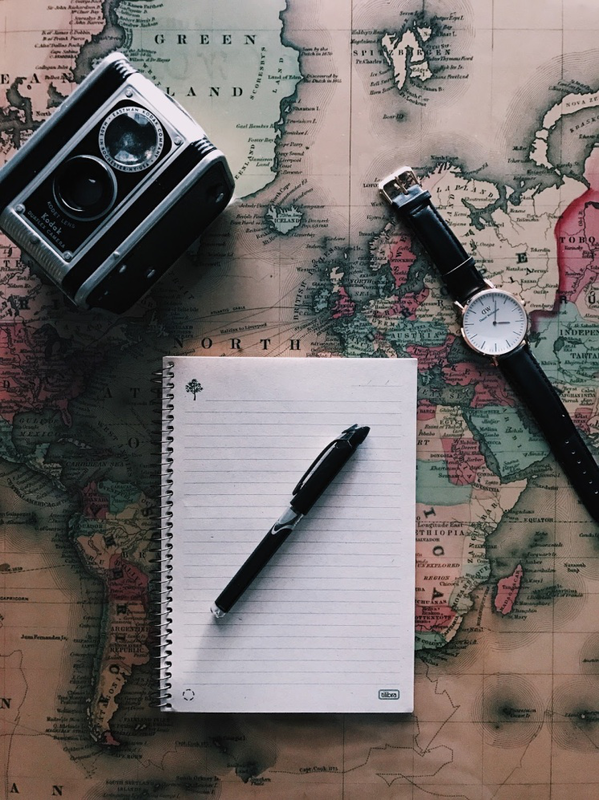 Like most types of writers, the ability to convey thoughts, ideas, and experiences in written form is a crucial skill that a travel writer must possess. No one expects a newbie writer to pen a best-seller or award-winning article right off the bat. Good writing is a skill, and like most skills, it can take on through repetition and refinement. Unsurprisingly, the other essential ingredient is a willingness to travel, explore and experience new things and places. It is a good place to start, but this conversation tends to turn towards economics and finances quickly. First get this in your head, the odds that you will be paid a significant amount of money for your first piece of writing will be slim to none, that is, of course, assuming that someone is willing to publish it. As previously noted, some so many people fancy themselves as travel writers these days that the market highly saturated with “travel article” and “travel stories” with varying degrees of quality. Then there are the seasoned professionals, that have been doing this line of work for years. These individuals not only have the writing chops to turn in top tier material, but they also have had the time to develop relationships with publishers, PR firms and industry experts who are willing to vouch for their work. It means that for the significant publications, that pay the big bucks, veteran travel writers will always be engaged first, and be brought the assignments first. Reading this, the budding travel writer may get discouraged, dismayed even. But, “Where there is a will, there is a way,” as the old saying goes. The majority of new travel writers tend to set their eyes on the large publications or big book deals from the get go, but they tend to overlook smaller publications and opportunities to get their work into people’s hands, thus allowing them to build a published body of work. Local newspapers, niche journals, and smaller online blogs/publications are excellent places to start. Sure their readership and reach may be a tiny fraction of the big names in the industry, but it will allow the author to generate a body of work that they can refer to in the future. Regarding money, expect very little to nothing for the first handful of articles. Remember that you are just getting started, why should publishers shell out money for an unproven writer? Be humble and take your “lumps.” Earn their respect by producing great content, and then you will make the money that goes along with it. Even when you do get paid, don’t expect much. This stage of your writing career should be seen as a schooling in professional essay writing rather a money making venture that includes free trips. These will come eventually. Take this time to hone your writing craft and build relationships within the industry. Also, take this time to refine your ability to pitch book ideas to large enterprises. Prepare yourself for what may seem like an unending wall of “No thank you’s.” And of course, the best way to get better at writing pitches it by writing pitches, lots and lots of them. Traveling around the world can be a very exciting experience. However, these joyous moments can be short-lived when you realise how quick your savings are being consumed. The only way to secure your comfort while on a trip is to save as much money as possible and work within a set budget. Even this might not work well; a backup source of money is the only way to avoid compromising enjoyment due to budgetary constraints. With the advent of the internet, there are many opportunities which can earn you money while travelling. Here are some of the best ways to make money while traveling. 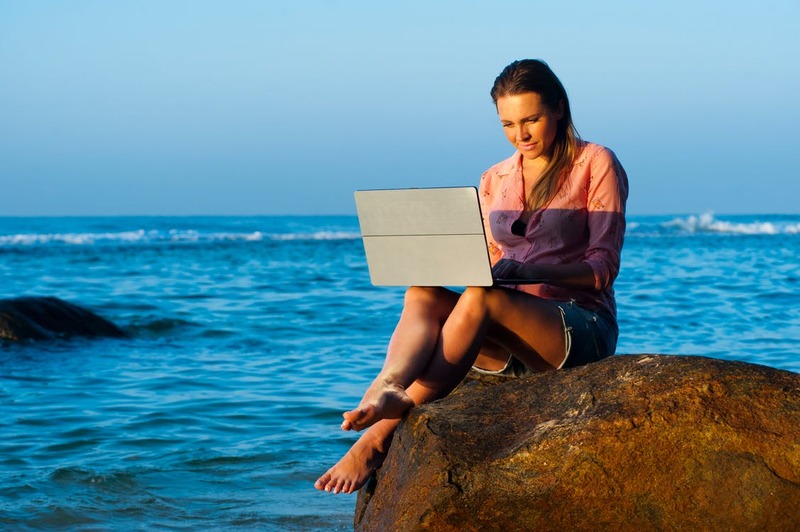 With the internet, you can earn whilst you travel with online investing. It has greatly revolutionised the way of doing business. It has made it possible to trade stocks from any location. 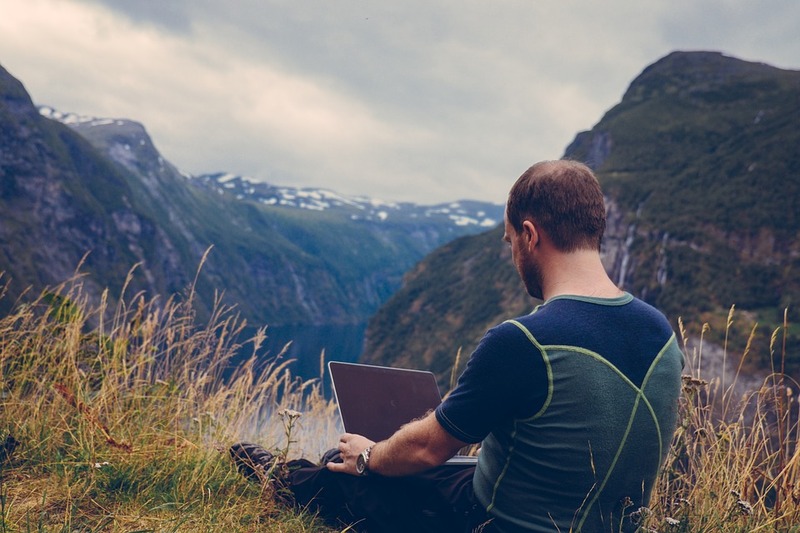 Since internet connectivity is almost available anywhere in the world, day trading can be a very convenient way to make money while on a trip. Using online trading platforms like CMC Markets, you can easily track stock price and make trades which can easily earn some money while you enjoy your trip. This is suitable for those willing to spend most of their time on the computer tracking various stocks in order to strike the correct timing that will earn more returns. It also does not need a lot of expertise so it is open to anyone willing to try it. With time, you could make more money from this thus turning it from a side hustle to a career. The easiest way to make money while travelling is to write attractive content for travel websites like travel guides or blog articles. This will enhance your writing abilities as well as help you to understand your travel destination even better. You can also try other freelance writing websites that offer excellent payment for a specific number of words. This gets more interesting especially if the journey is long. This is because you get to write more content and also earn more before reaching your destination. You could also start your own blog for people to subscribe and read what you have to share. Even though it is a long shot, it helps to pay the bills eventually. Before hitting the road to your destination, open an online store. This is an easy online investment technique. It’s not necessary to establish your own website in order to sell your items. There are many websites available, you can use to open and sell your items online. You can also serve as a middleman in the various transactions that take place. This is by finding buyers who will purchase the goods at a higher price than the one set by the seller. If you own a website or able to establish one before traveling and have sound knowledge on SEO, then this will be a good source of income. Using your website, you can earn a commission by directing customers to a specific product or service. Selling affiliate products on your site can also earn some commission. People from every part of the world are eager to learn English especially in non-English speaking countries. While you are on tour, take advantage of your fluency in English to become a tutor. You need to check out the specific accreditations required for one to teach in your travel destination. No need to hurriedly sale your house and all other stuff when travelling. Rent out the house and hire a company to take care of rent collection, cleanliness, and maintenance while you enjoy your trip. Cash flow from rent can greatly boost your stay overseas. You can do this by renting it as a vacation home for seasons or for people to stay full time. Take as many photos and videos as you tour your destination. Build an online library where people pay to download pictures and clips. This can generate a good amount of money, if you put more effort in marketing and learning SEO tricks. Offering your services to fellow travellers can also be a good way of earning money while exploring the world.